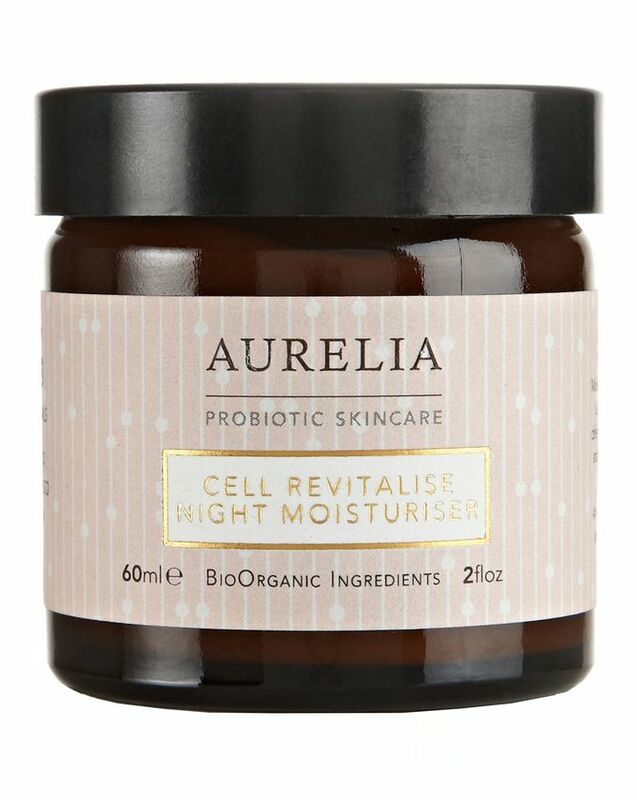 With a luxurious-yet-readily absorbed texture, Aurelia Probiotic Skincare’s Revitalise Night Moisturiser stars a potent blend of anti-ageing powerhouses, to nurture and protect even sensitive skin types. Emollient without being greasy (no more stained pillowcases), this delicately scented crème is brimming with Aurelia’s signature probiotic technology and uses specific, ‘immune modulatory’ glycoproteins – cell surface molecules which enable cells to ‘talk’ to one another – to generate targeted impulses in the skin; balancing stress-damaged tissue whilst stabilising its defences. 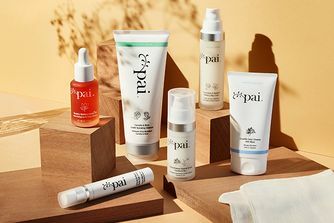 A beautiful blend of plant and flower essences – including neroli, lavender, rose and mandarin –then works to hydrate, soothe and refine dulled complexions, recapturing radiance whilst leaving your skin smooth and soul soothed, to help you drift effortlessly towards a deep and restorative slumber. And like all things Aurelia, this is completely free from synthetic fragrances, parabens, mineral oils, silicones, sulphates, propylene glycol, phthalates, GMO, PEGs, TEA and DEA – and is certified ‘Cruelty Free’. A rich source of precious omegas 3, 6 and 9, Revitalise Night Moisturiser stars baobab extract and borage oil – brimming with the essential fatty acid GLA to lock in moisture – alongside smoothing and firming Kigelia Africana and free radical-fighting hibiscus to repair existing damage, re-energise sluggish skin cells and provide protection from the ageing effects of environmental aggressors. With only the finest, 100% pure BioOrganic ingredients, this indulgent-but-breathable formula is ideal for all skin types (even oily or sensitive), and provides long-lasting hydration without clogging pores or exacerbating congestion. Regenerative Mongongo oil offers abundant levels of skin-nourishing, antioxidant vitamin E – to supplement your skin’s natural night-time repair and renewal processes – while shea butter creates a conditioning shield between complexion and the elements; sealing moisture and nutrients in, while keeping ‘bad stuff’ out. Just apply a thin layer at the end of your evening skin ritual, and wake up to beautifully plump, dewy skin. At night after using the Miracle Cleanser and Revitalise & Glow Serum, apply cream with fingertips to the face, neck and décolletage. Massage in to boost circulation and achieve the ultimate radiant glow. If the skin is very dry, apply over Aurelia Probiotic Skincare's Cell Repair Oil for even deeper hydration. What Are The Benefits of Probiotic Skin Care? I had a deluxe sample of this one and as soon I tried it for the very first time I knew It will become a favourite. Very gentle scent, quick to absorb and ultra soothing and moisturising without felling heavy. I have a dry skin and I always rely on this one whenever I have had a bad skin day, the following day there is no trace of it. I love everything about this product. The scent, texture and the immediate results. I wake up with soft, hydrated, dewy and plumped skin and I notice my lines to be less visible. I would prefer different packaging to avoid faster product degradation, but it's just my preference. I will try more products from Aurelia just based on how much I like this cream. The scent of this cream is overpowering. Not an unpleasant perfume, but far too strongly scented for my taste and comfort levels. The cream is quite nice, seems fairly rich but after it went on it sank in immediately and left my skin feeling tight afterwards, following which I had to put another moisturiser on top. My skin felt nice in the morning. A mixed bag. I wouldn't buy it. Mine was a deluxe sample. This is my first review. I got from 2017 spring goody bag. Thanks Cult Beauty. This moisturiser gives dewy finish and in the morning I keep touching my face (how smooth and glowing) deluxe sample 20ml is generous. Soon will buy the full size. My only request is that Aurelia should provide bottle pump for their moisturiser (like MV ones) so the good ingredients keep stable for long time. Received in my beauty bag as part of a promotion. The scent is divine! It helps me relax before sleeping. It also goes on a treat - soaks straight in to feel really dewy - and my skin feels amazing in the morning. I have highly sensitive skin especially to artificial fragrance and some mineral oils, looking at previous reviews I can see someone with sensitivity disagreed with this product so it may be worth knowing where your sensitivity lies before investing! I love that this cream is free from all the nastiness and still smells fresh. The scent is very similar the Emma Hardie cleansing balm - smells of the natural oils. Not unpleasant at all. It absorbs quickly and is rich and creamy without being thick and pore clogging. I have dehydrated skin and struggle to find a night cream that feels like it's doing something but that doesn't break me out and this is it. Leaves skin bright, fresh and very smooth in the morning. Would highly recommend and when I'm feeling a splurge I will repurchase. I got a sample of this moisturiser and had very high hopes on it as I really like the philosophy of the brand and their ingredients. The texture is nice, it does not feel oily and absorbs quickly, but it does feel very moisturising. Unfortunately, it burned (I guess, due to the high amount of the essential oils in it) and this is no good for my sensitive skin.... So had to give it to my husband to finish it up and he really loved the cream! :) I give it 4 stars because it is truly a nice moisturiser, just not for (and those with very sensitive skin). This feels great. 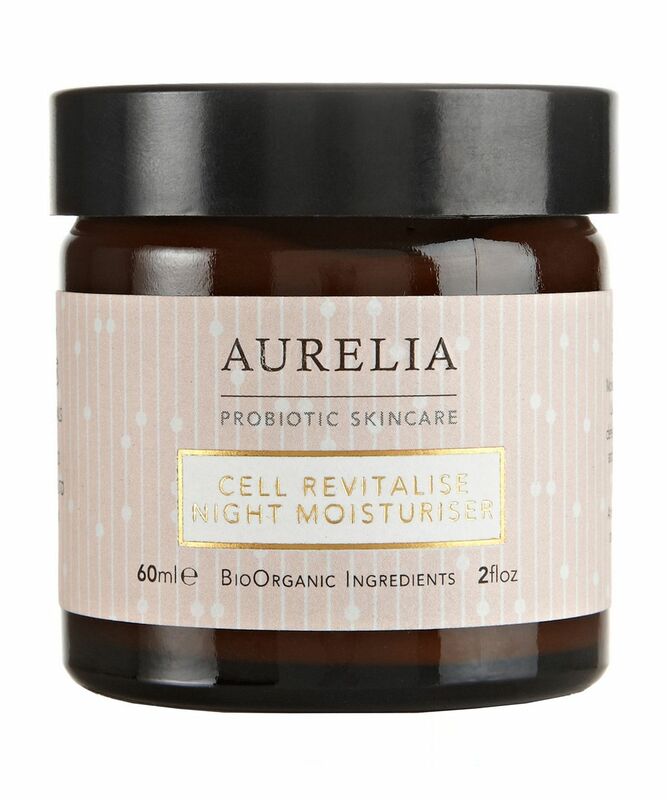 I have sensitive skin and I found the perfect moisturiser with Aurelia. And it smells amazing! Love the texture, the scent, my skin in the morning! Amazing product! I received a sample of this in the Cult Beauty spring box. I love the ethos of the brand - natural ingredients, no nasty toxins. This is very important to me. This cream, however, immediately irritated my skin, which started feeling really itchy and aggravated. I also found the smell really pungent. I'm a huge green-beauty fan, so am used to natural skincare, but this is just too much. Finally the texture. I know that nightcreams tend to be thicker in consistency than day creams, but it was just too much for me. It will suit some people, but it's not right for me. I got this from the Cult Beauty Spring Goody bag and I instantly fell in love with it. That being said I have used this at night and during the day which shows how much I love this cream. It gives a dewy look whilst hydrating my face throughout the night / day and the smell is really nice. Definitely repurchasing this again! I liked the results of this night cream on my pregnant body, but I didn't like the scent of Lavender and neroli... I can't finish that jar, because it smells so strong. This product is moderately pricey and gives very good results. It soaks into the skin and gives a beautiful glow next day. I love the whipped texture and the immediate results. It's great to wake up looking like I've enjoyed a full nights sleep.